Our vision and hope for this city stretches beyond any event. For sure, the Boston branch of the NAACP is excited to host the national convention of our association in 2020. Certainly our city has made progress on race relations. We are not the Boston of Louise Day Hicks. But the seeming absence of overt racism in a city as progressive as Boston is not the measurement of progress worthy of celebration. In fact, the lack of economic opportunity for the thousands of black people and other people of color in a city that has been blessed with so much prosperity is deeply troubling. Dedicated to the elimination of racial discrimination, the NAACP is the oldest civil rights organization in the country. When the NAACP, with its thousands of branches and chapters, descends on Boston in 2020, it will bring the eyes of the nation. People will come here with all sorts of expectations. The story they leave with is up to us. We are ready for a new chapter, and as president of the host branch, I am committed to helping us write that chapter not just for Boston, but for the Commonwealth. It is time to stop talking about how much progress we have made in the past and start making significant progress toward eliminating racial inequality — economic, educational, political, social, and in public safety. Together. A gathering of this type has the potential to create the space for policy makers and advocates to work alongside communities to develop initiatives designed to dismantle gendered, racist, and xenophobic policies and bring about greater inclusion. One indicator of true economic inclusion is the support of of meaningful and lasting business opportunities for businesses of color across the Commonwealth. The Boston branch of the NAACP will serve as a clearing house for black businesses that would like to provide services during the convention. Specifically, we will work with the Black Economic Council of Massachusetts and the Greater New England Minority Supplier Development Council to help expand the universe of diverse businesses beyond those that currently have access. Of course, the support of our local chambers and other business organizations will be critically important to our success on this front. Our vision is beyond 2020, so it is important that as black businesses participate in this convention, they are added to the preferred vendor list going forward and to the supplier diversity programs managed by local corporations. Read: Spotlight: Boston. Racism. Image. Reality. Our local business leaders should be commended for the work they have done to attract professionals of color to Greater Boston. Surely there is more work to do, but with the commitment of our business community and the work of organizations like The Partnership, the pipelines initiated decades ago are bearing fruit. This convention and the events leading up to it will present great career development opportunities for professionals of color. If major corporations are engaged to provide services during the NAACP Convention, we want to see professionals of color leading the teams. Let’s not miss that opportunity. Nor should we miss the opportunity to diversify the least diverse neighborhood in Boston. As development continues on the Seaport, let’s look to add diverse restaurants and nightlife to that neighborhood. Imagine if a year from now the Seaport is more inclusive and convention guests have an authentically diverse experience. Additionally, we need to make sure that our guests have the opportunity to experience the rich culture and the people living in the heart of Boston’s black community — Roxbury. We must commit to incorporating all of Boston’s black community into this convention. To that end, several elected officials have been working hard to bring much-needed resources into Roxbury, Dorchester, and Mattapan for black, Latinx, and Asian businesses. While there has been some success, we need to increase access. There is no stronger neighborhood than one that is economically vibrant. Economic equality brings hope, security, and self-sufficiency. 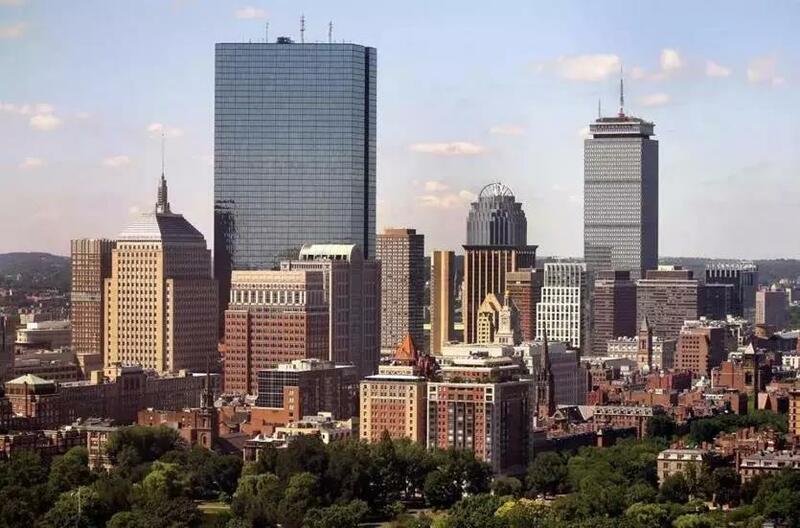 To help accelerate access, the Boston branch is proposing the creation of a fund to provide smaller and emerging black businesses in those neighborhoods with the technical support needed to prepare for 2020. Finally, the NAACP national convention is home to the only competition in the country for diverse high school students to compete across multiple disciplines, including STEM, humanities, performing arts, entrepreneurship, and culinary. It is our hope that students from across the city- in Boston Public Schools, parochial schoos, and METCO students — have the opportunity to compete in this program. Over the coming months, we will convene gatherings across the city to hear from NAACP members, business leaders, allies, and elected officials about how we can leverage this event to help bring about authentic, inclusive, and meaningful transformation for our neighborhoods. Beyond 2020. Tanisha Sullivan is president of the Boston chapter of the NAACP.